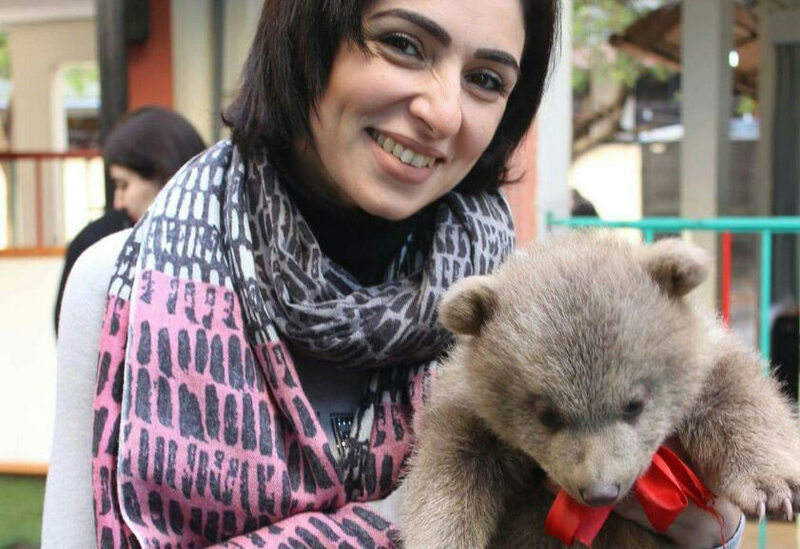 Animals Lebanon - Who will protect endangered animals? Who will protect endangered animals? Wildlife trafficking is recognized as a multibillion dollar transnational organized criminal activity. This is a global phenomenon which presents serious conservation and animal welfare dangers, and ultimately undermines the rule of law. The last six months has seen an increase of the trafficking of endangered animals to Lebanon. Lions, tigers, leopards, and more recently a group of baby bears. All endangered species, and all destined for short, miserable lives as exotic pets. They are trafficked through the airport or across the border with Syria. Whether through wealth, power or corruption, those involved can circumvent circumvented or disregard the law. 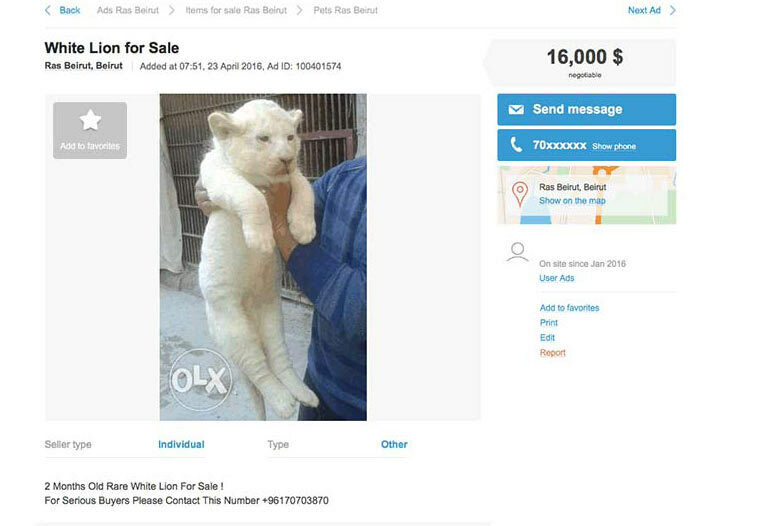 Animals are often sold for $10,000 or more. They are advertised on social media and online marketplaces. Traders often ask for a deposit as the animals carry such high prices, and have sent pictures and videos of animals before they are trafficked into Lebanon. These animals are reduced to nothing more than props for social media posts. Most never live until adulthood. Since October, at least one lion, tiger, leopard and bear – all less than three months old – suffered greatly and died wholly preventable deaths. The survivors are kept in homes as exotic pets or locked in backyard collections. Four years ago Lebanon became a party to the Convention on International Trade in Endangered Species (CITES). CITES is an international agreement between governments that aims to ensure the international trade of animals and plants doesn’t threaten their survival. To prohibit trade in violation of the convention, CITES states that Parties shall penalize trade in, or possession of, such specimens, or both; and provide for the confiscation or return to the State of export of such specimens. In August the Ministry of Agriculture issued a Decision to regulate the keeping of all big cat species, specifically because of the documented trafficking of these species and the suffering they endure. This Decision bans the keeping of these species unless in a registered zoo or rescue center, and even then when specific conditions are met. The Animal Protection and Welfare law was initiated with and supported by the Ministry of Agriculture. This law was approved by the Cabinet in February 2015, and shortly after moved to Parliament. The purpose of this law is to ensure the protection and welfare of animals and bring Lebanon into compliance with the related international conventions and regulations. This law has had wide government support and is at the final step to enactment, but is not waiting for a final vote in Parliament to enact it. There are solutions, but this despicable trade can only be confronted when the seriousness and urgency of this trafficking is recognized and the necessary political will is exerted. Donate to our rescue fund and enable us to help more animals. © 2017 Animals Lebanon. All rights reserved.